This weekend, we took a road trip up to Sebastopol for a classical Indian music concert – after buying our tickets, my thoughts automatically went to what restaurant we’d get to try out. We were going to be driving through Petaluma (home to Cowgirl Creamery and Spring Hill Cheese), but didn’t have enough time to actually stop in, so we decided to have dinner in Sebastopol instead (a Petaluma road trip is still on the list!). 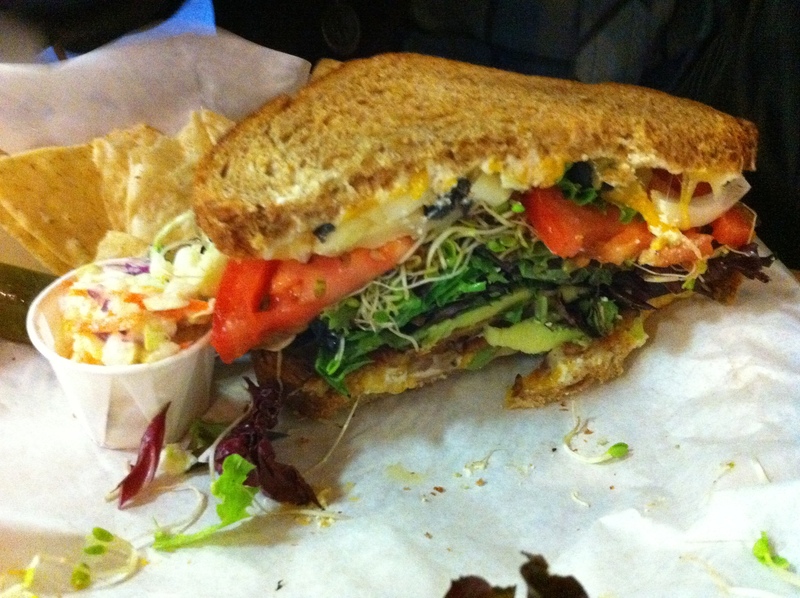 I was actually pleasantly surprised to find that there was a vegetarian restaurant in such a small town – we pulled up next to the local Whole Foods in a small strip mall to find a small restaurant called Slice of Life. The menu was a dream come true for me – everything was vegan with the exception of having dairy cheese available. The thing I liked most about this restaurant was the focus on high quality ingredients – it was also encouraging to see all the fresh vegetables and variety of dried legumes as I walked through the back of the restaurant. Eating at this restaurant made me want to open up a similar restaurant of my own (that would be a dream come true) – this is the first time I’ve ever eaten at a place that has made me feel so inspired to actually want to open a place of my own (I know, I know…still dreaming). The simplicity of the restaurant was so appealing and the food was delicious. 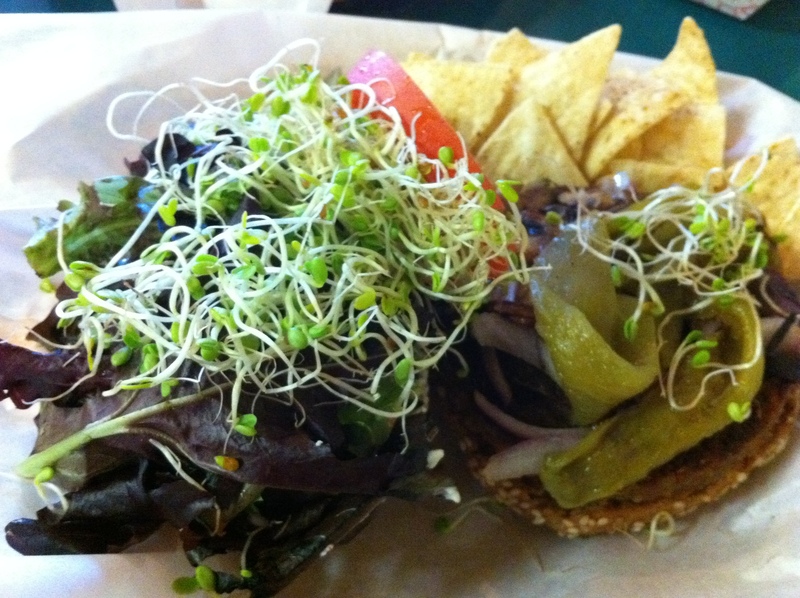 I opted for the Fiesta burger (brown rice, tofu, millet, veggies, seeds and chilis). We also decided to share a slice of pizza which I forgot to take a picture of – the whole wheat crust was soft and crispy at the same time – it might have been the best whole wheat crust I’ve had in a long time. The husband ordered the Veggie Cheese Melt. Their french fries were guilt free – they called them Aromatic Airs (air baked without any oil). 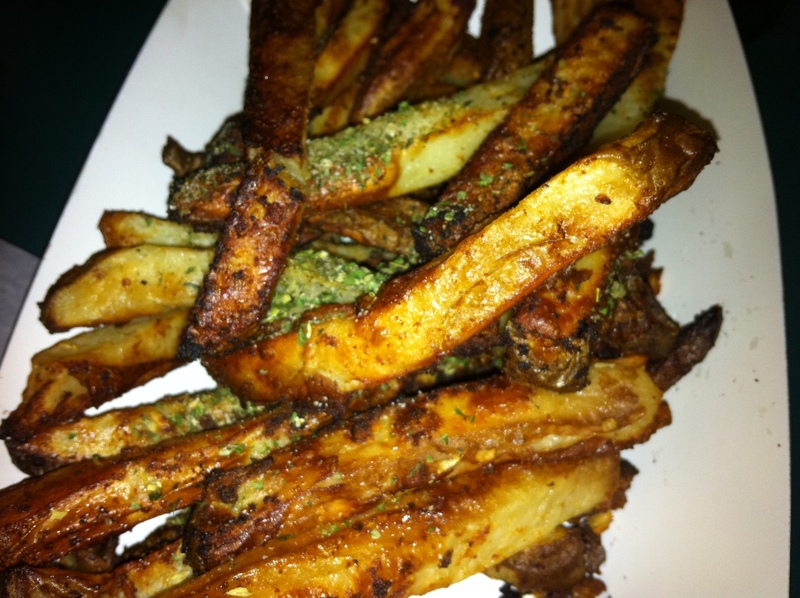 These fries had lots of garlicky goodness added! Previous Are fava beans really worth the effort?